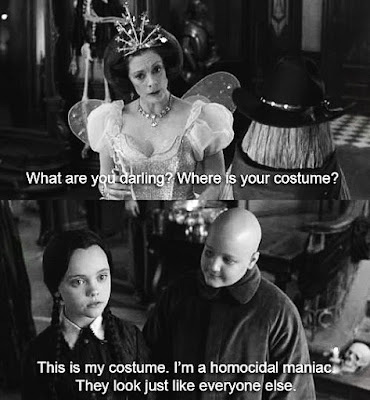 One of my favorite movie quotes is from Wednesday Addams. If you don't have a love of the dark and disturbed then at least scroll to the end for the quote. When Christina Ricci was chosen to play Wednesday, she had never seen the Addams Family. She was told to act like Winona Rider in Beetlejuice. I think she did a remarkable job. 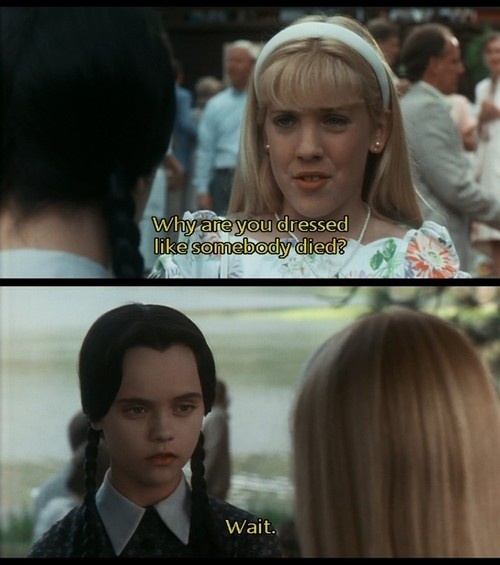 Wednesday and her brother Pugsley are involuntarily sent to Camp Chippewa. Gomez: It's an old Indian word. Wednesday: I don't want to be in the pageant. Camp Councilor: Now, one of you will be the drowning victim and the other one gets to be our lifesaver. Becky: I'll be the victim!